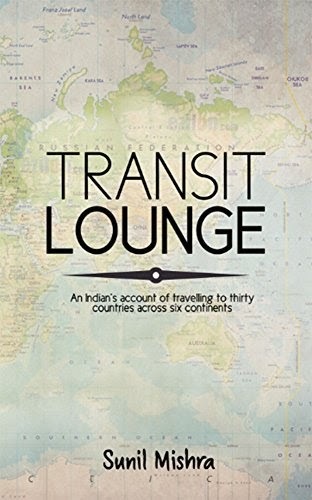 ‘Transit Lounge’ is a contemporary book consisting of short incidents, observations and reflections while travelling to 30 countries across six different continents during the last 15 years. 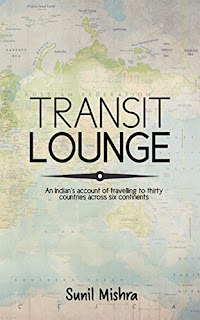 The book is a personal account of travels to places in Africa (Nigeria, Ghana, Egypt and Mauritius), South America (Venezuela and Argentina), Asia (China, Iran, Kuwait, UAE, Singapore, Indonesia, Sri Lanka, Malaysia and Thailand), Europe (UK, France, Italy, Netherlands, Germany, Denmark, Belgium, Georgia, Turkey, Croatia and Romania), USA, Australia and New Zealand. It was interesting to observe all these diverse cultures and people from an Indian perspective. 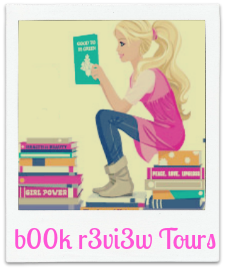 The book is a compilation of small incidents and events during such travels; it includes losing an air ticket, dealing with difficult custom officials or getting mugged in a prime location in a foreign country. Sunil is a software professional with over two decades of experience in the field of banking technology. Currently he is working with Infosys in India. He has earlier worked with McKinsey, Accenture and I-flex solutions. His work required extensive travelling to various parts of the world and this constituted the basis of his current book. He travelled to more than 30 countries across six continents and engaged with senior managements in different client organizations. He believes that there has been a remarkable change in perception about India over last 15 years. Sunil is an MBA from IIM-Lucknow and holds a B.Tech from IIT(ISM), Dhanbad. He completed his schooling in Bokaro Steel City, a relatively small town in Jharkhand, India. Sunil has avid interest in writing and has actively blogged on various platforms in the area of banking technology, consulting, leadership and changing role of media in the digital world.